What a wonderful week we both had! Easter is such a beautiful holiday to us and we are sad to say it has come and gone. Look our for a future post from Little Sis about all the exciting adventures she and her husband went on during the Easter holiday.... and we hope you enjoyed the Easter post from Big Sis. It is that time again! Time for our totally awesome Naturally-Nifty Party.... we are so excited. We have seen so many amazing Easter ideas that have been posted that we are excited to see what Spring Ideas and Recipes that you have to share with us.... but for now, on to our favorites of the week. 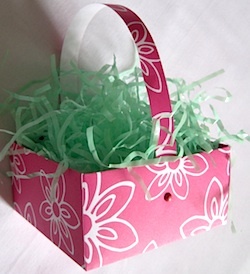 The Crafty Journal shared with us a totally awesome Origami Easter Basket. This basket does not have to be used only for Easter... it is so versatile. I loved it. I know I love it THAT much more because of the three years that I spent in Japan. Making Origami is something that kids really enjoy... and I have always loved it. The other totally awesome thing about this is-- what a CHEAP way to make a basket for goodies to share for holiday/birthdays! Thank you for sharing this with us. 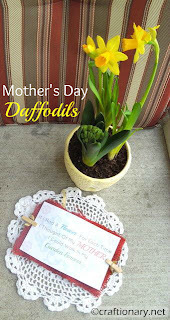 Hani over at Craftionary shared with us a very unique way to give a gift to Mom's for Mother's Day. She also included an awesome printable to include with the flower for moms. I have been searching for the perfect thing to do with my daycare kids for their moms for Mother's Day and I think this is perfect. I think my mothers would really enjoy this and the kids would enjoy planting their very own flower. I also love free printables. Thank you so much Hani. 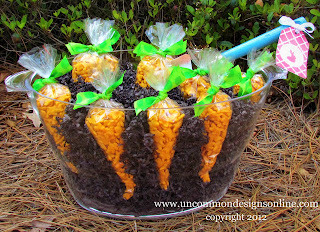 Trish over at Uncommon made this cute Carrot Patch full of Easter treats! It is such a cute and creative idea, that makes giving out treats to the kids fun! She did a great job at making this cute & creative! Go by and follow her blog to see all the cute stuff that her and Bonnie do over there! 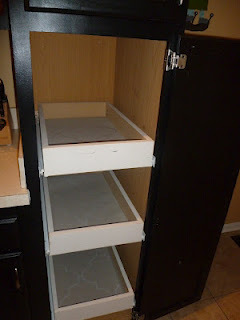 Our Pinteresting Family did a great job on making these easy DIY drawers to replace a wire rack! They look great, and she said they only spend $32 total on these! Stop by and check out in detail how they did this! Maybe you could change up your own cabinets to make them more functional. Also, I hope you have noticed our new blog layout, and we have moved our Naturally-Nifty Party Buttons to the top tab, so take one of those and put it on your blog! And please stop by our FACEBOOK page and like us there too!